Brad Hutcheson recently contacted me about his new puzzle app game Woollyman Block Buster Game. It's another tilt-maze. 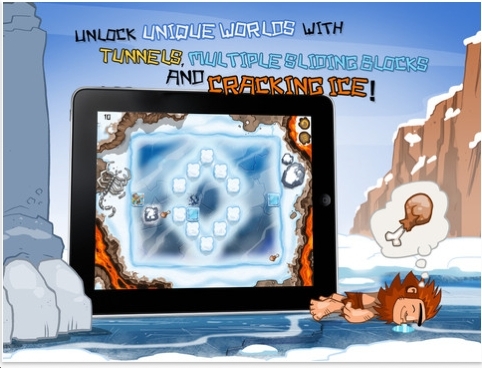 The object is to slide your caveman over the frozen ice until he hits a wall, and then hopefully, the exit. Along the way, you might need to pick up some vittles - in the form of bones. Wormholes appear too. The most interesting feature: some parts of the ice can only be traversed twice, after that, it thins out and the caveman will drown. I'd like to see more puzzle levels that incorporate this. Of the 60 puzzles, I've done all of them. They're fun and somewhat challenging. Definitely good for younger puzzlers. I forgot to mention: the caveman is named Ug and his programmer, Brad, can be reached at grunt@woollyman.com - really! 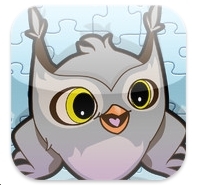 When I scroll through the 250 new puzzle apps each week, I usually skip the ones with cute animal icons. Pulma is the name of the owl. He's a time traveler and all of his equipment has been cut up into 3D jigsaw puzzles. The sequence of assembling these puzzles is critical. In the past I've done a few dozen of these. They're fun. 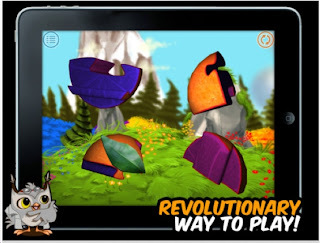 I was skeptical that this type of puzzle could be made for the ipad because these puzzles beg to be held with your hands and scrutinized. Pulma 3D Puzzle does a very good job of this. The graphics are excellent. 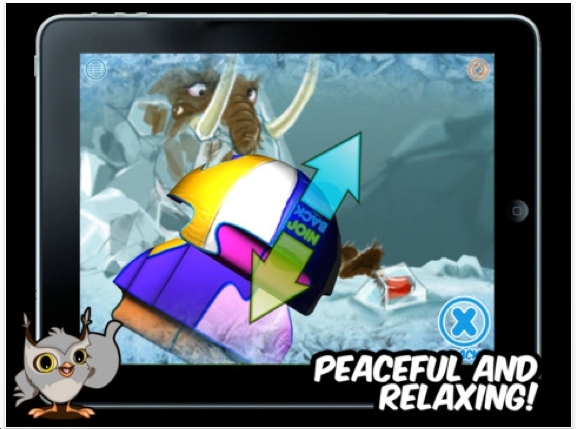 A tutorial is given which explains how to rotate pieces and then slide them together. Miikka has obviously spent an enormous amount of time developing this. LinePuzzle (one word) comes from a Korean company called Welcome. The idea is to start at a point, and then trace a path over all the lines without retracing your path. There are 300 levels. I've done about a third of them. A few weeks ago I woke up in the middle of the night and decided to crank these out. It's basic topology. The key: start at a point that has an odd number of lines. Then end at a point that also has an odd number of lines. 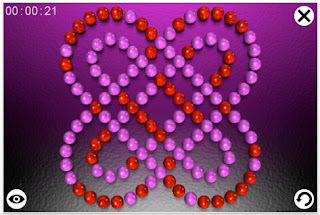 If the figure has more than 2 odd numbererd points, then it's impossible. 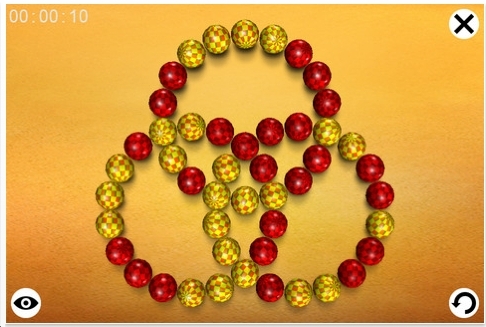 The object of Crazy Marbles is to fill each circle with 4 marbles of the same color. When that happens, the wheel explodes. 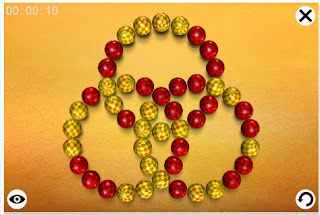 To complete a level, all the wheels must explode. Marles roll along the top. You must slide them down to a wheel, then rotate that wheel to transfer it to the bottom wheels. In terms of action, Crazy Marbles has got plenty of it. However, I strictly go for the pure puzzles. My puzzle friend Derrick Schneider recently emailed me about LiquidSketch. 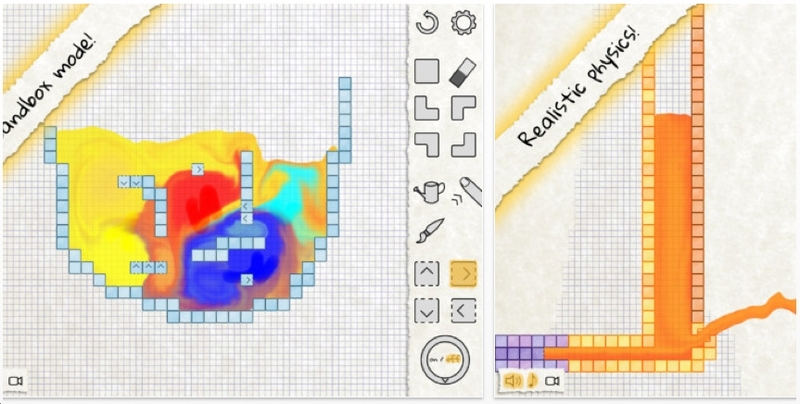 LiquidSketch may be this year's most original and uique puzzle app game of the year. The object is to transfer liquid from one area into another. Mixing colors is sometimes necessary. This is done by: tilting, using your finger to splash water up, using a pump, using blocks so the liquid does not spill. There are 90 levels. Right now, I've done about 55 of them. There are some levels that I think are impossible. But hey, that adds to the appeal. Does LiquidSktech make it onto the List of Best Puzzle App Games of 2012? Quite possibly. That list will be published 12/31. Subway Exits HD is very similar to 100 Floors. The object is to somehow solve each level in a clever way. There are some other clones of 100 Floors. Let me know which ones to check out. 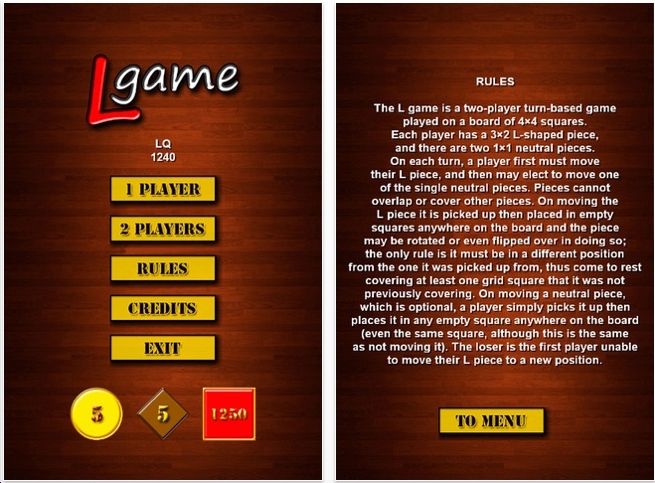 The L-Game was invented by Edward de Bono many years ago. The object: move your red L to another loccation. Then move one of the tokens to a new location in order to prevent the blue L to move. Simple rules. 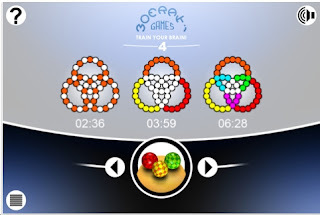 This game can take 45 minutes. I bought a copy of this and played my brother during Thanksgiving. Very hard to master. When you search for this game: the real title is LQ. Andrew Yudin designed this app version. It took me about 25 minutes to beat the computer at the easy level. 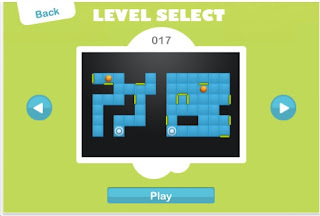 Genius Block is a puzzle app for kids. 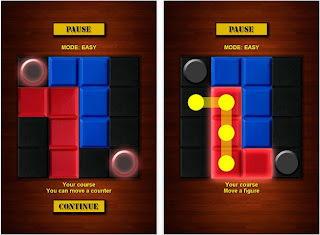 There are 45 levels to remove the big red block down the hole. I've done 12 of them. Strictly for kids. But that's okay. ComboFlame comes from Jerome Lulling. 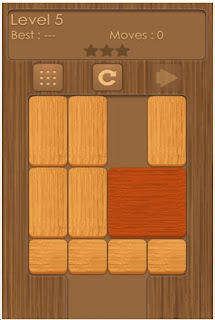 The object is to set all the wooden tiles on fire. 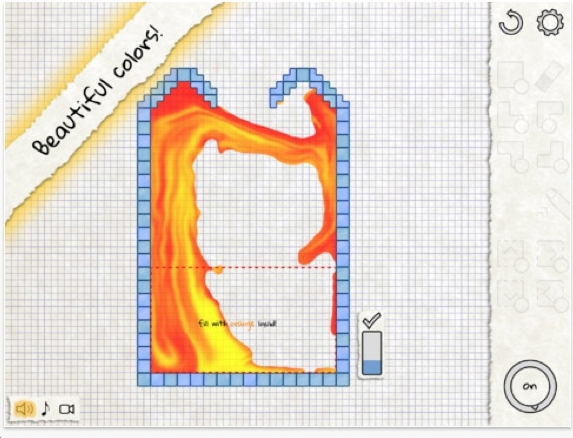 To start, tap on any wooden tile to ignite it. Then choose the next one that is connected either verically, horizontally or diagonally. 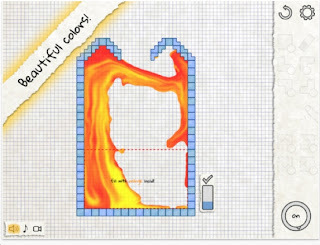 Note: the flame cannot cross over empty spaces. I have played 1 set of 20 puzzles. 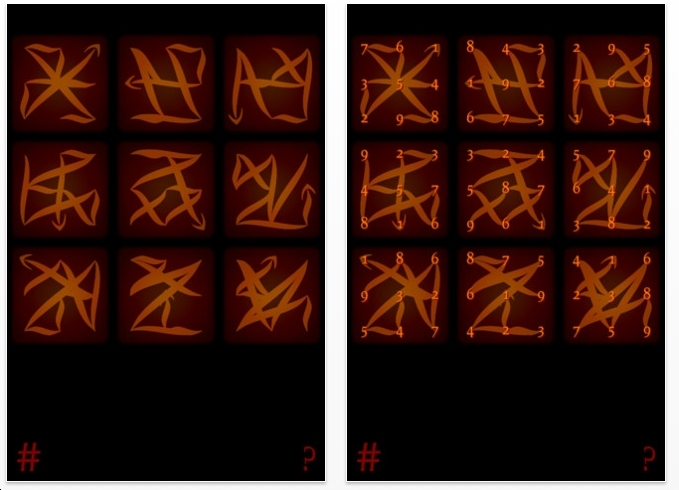 After that, a new, randomly generated set of 20 puzzles is created that matches the same difficulty level. 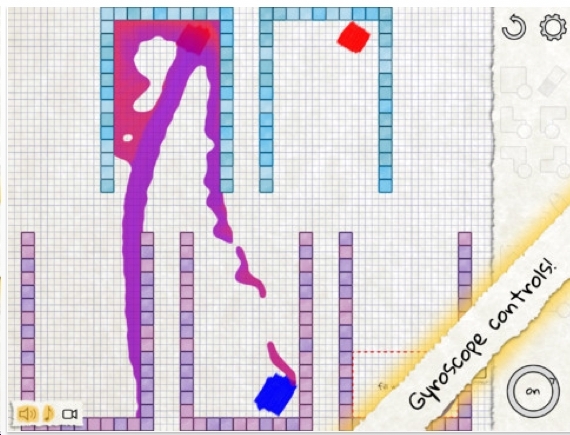 I play-tested this on the ipad. The top level is a bit cut off. I'm guessing this problem does not exist for the iphone or ipod. 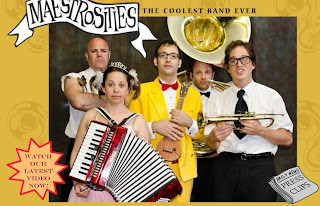 This past Saturday night, I attended the premiere showing of a tv pilot starring the band The Maestrosities. My friend Rod Kimball is in it. He's the nerdy one playing the trumpet. About 2 months ago, The Maestrosities sent me an email via Kickstarter. I kicked in $25 which got me a t-shirt of the band and the VIP screening. The 25 minute tv show was FABULOUS. After the screening, the band performed for about 30 minutes. Enneaglyphs is a version of sudoku. 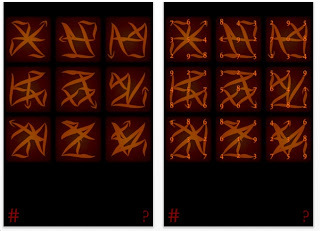 As the line zigzags, the numbers 1 - 9 follow in the correct sequence. However, you can't tell which is the head & which is the tail. Of course the middle # must be 5. I've gotten tired of sudoku - even the variations. But maybe you have not. 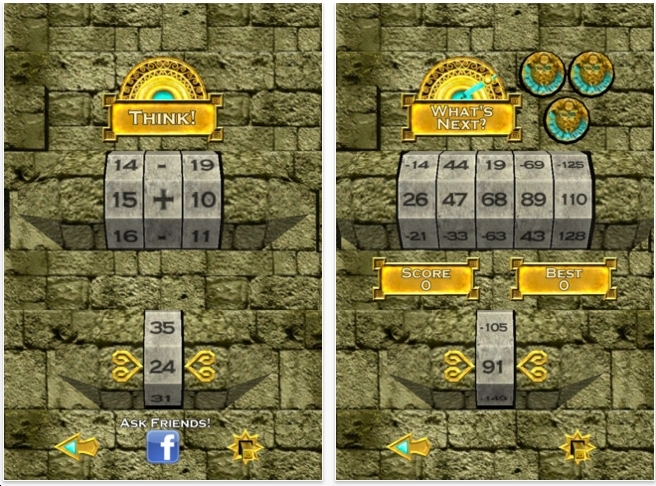 Enneaglyphs is a free puzzle app. Try it. 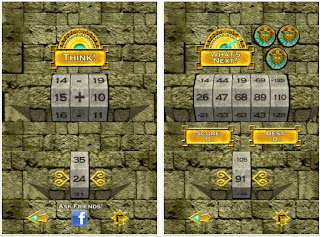 Danielle Cervantes recently contacted me from The App Company to tell me about their puzzle game app Lookout Blizzard. Lookout Blizzard is a dexterity maze puzzle game. 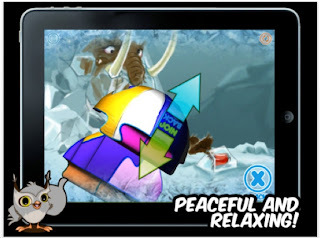 The object is to tilt the snowball to the exit, while picking up snowflakes. On some levels, the object is just to not get hit for 30 seconds or 60 seconds. Seems easy and typical. It's not! First, you must avoid the barnfires - obviously bad for a snowball. Then you have to avoid the shooting comets that can come from any direction. Water balls also fly across the screen; they slow you down temporarily if they hit you. Same for the flying dirtballs. There are 60 levels. At the moment I've done the first 47 levels. This is surprisingly fun. My only qualm is when you die: the screen image shakes violently. Yesterday, when I woke up, the first thing I did was play this game. High praise indeed. 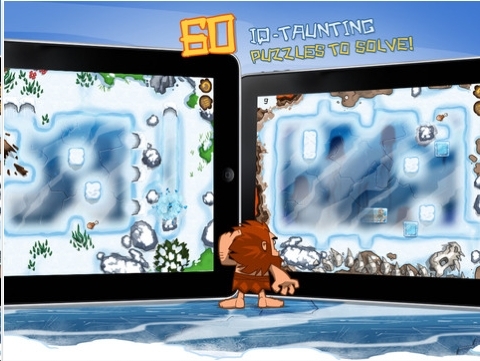 Lookout Blizzard quite possibly makes it onto the list of Best Puzzle Apps of 2012. That list will be revealed on New Year's Eve. 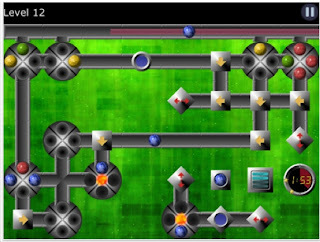 Shift 2 is an inversion maze puzzle. 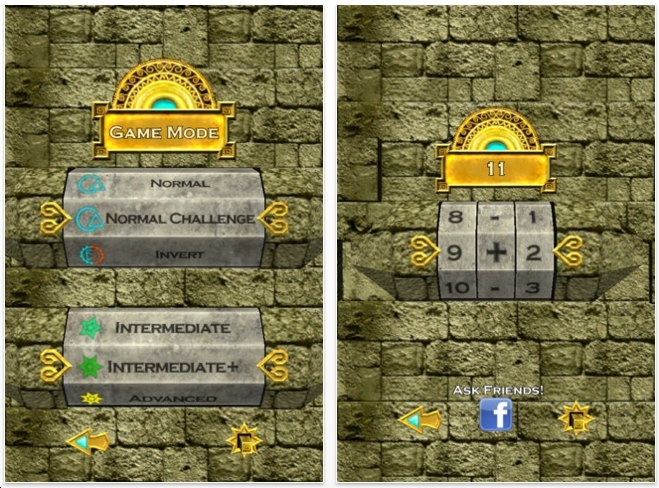 There are 120 levels. It came out July of last year, and somehow I missed it. 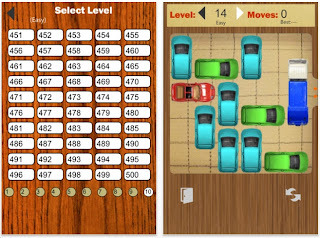 Shift 2 has been downloaded over 1,000,000 times. I've spent about 45 minutes and got through levels 1 - 8. Considering the price, it's pretty good value. This game/puzzle may not be free forever, so download it soon. 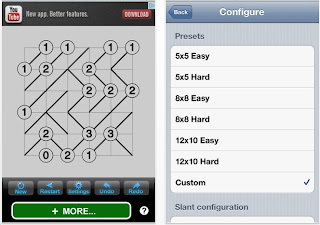 Slant Puzzle Free comes from WiseGuy Sharp LLC. 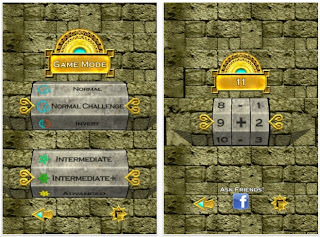 He/they has/have come out with 6 or 7 new puzzle apps all at once. Tap on every square to make one diagonal line - either a positive or a negative slope. Each circled number must have that many diagonals touching it. Simple concept, fun stuff. I've done a whole bunch of these at the 5x5 Easy & Hard levels. The 12x10 feels like the squares are bit too small even on the ipad. I have not experimented with the custom levels. This game needs a timer and a leaderboard. 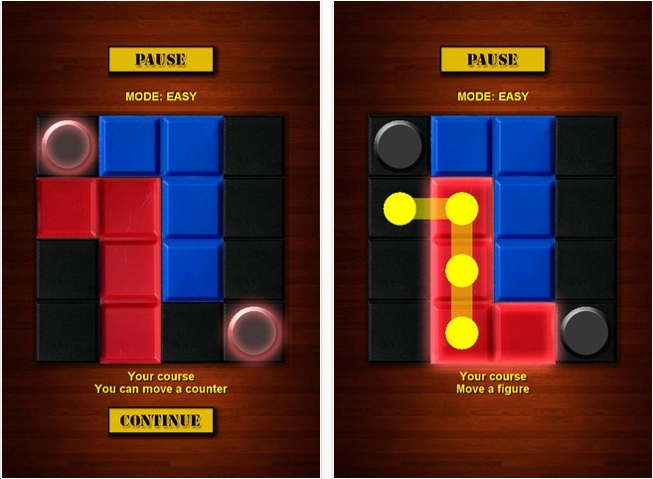 I particularly like doing the 5x5 easy & hard levels as quickly as possible. The Object of Super Numbers is to tap on some tiles that add up to the number on top. Keep doing this until the board is empty. My first impression: too simple and easy. My second impression: the game gets harder and the time seems to go faster. Right now my high score is 75,100 which places me in 11th place. LaurenSSD is in first place with 286,200. I have a feeling that I'll be playing this again. Everybody: this game is surprisingly fun. And it's free. So download it. 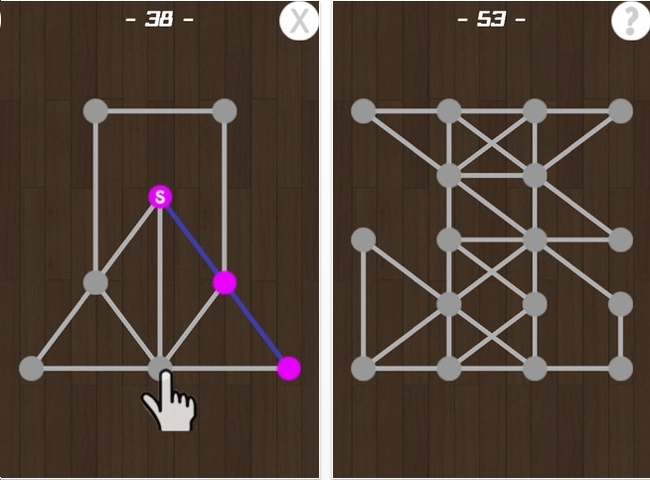 Quallamath is a math puzzle that will appeal to younger puzzlers. I'm thinking middle & high school students. The object is to get the answer quickly. Nothing terribly hard. The hardest part is finding the next number in a sequence. Hey, it's free. So give it a shot. Anne Cole has sent you a message. Somehow linkedin decided that we should be "linked". How this happened I have no idea, BUT my husband, David who refuses all frivolities such as facebook, etc. has talked about you for the last few months as being his idol. He faithfully reads your blog, he checks out all your recommendations and he tells me that you are one of the smartest people around. Even I, a violinmaker who has no time for puzzles, is at the moment addicted to Beecells. David looks forward to your Blog every day and admires your abilities and work ethic from afar. David thinks of you as his friend and I am sure lots of other folks do as well! Keep it up!! Anne & I have since exchanged emails and compared high scores in BeeCells. Mine is 452, Anne's is 757 and David has cracked 1500. Reality check: I think Anne & David have proven to be much smarter than I.
Update 10/9: my new high score for BeeCells is 484. It's almost impossible to keep track of all the ripoffs of Rush Hour. This one is the latest. The puzzles are good. The company's website has a very cool set of graphics. 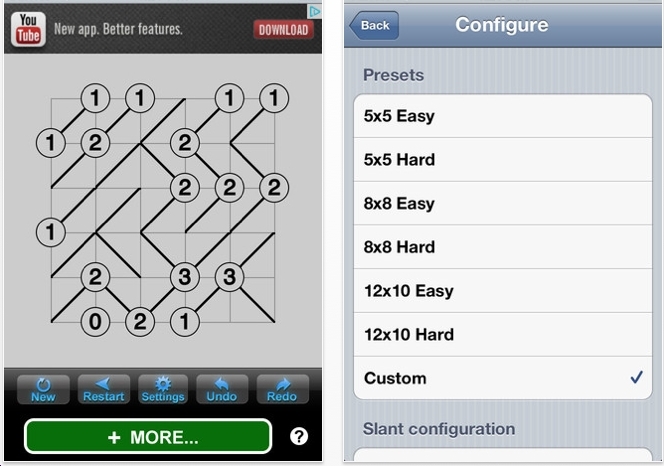 Sudoku Revolution is extremely well designed. 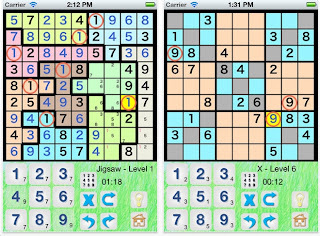 In terms of the puzzles: there are the traditional sudokus, and the jigsaw sudokus (see the image on the left). 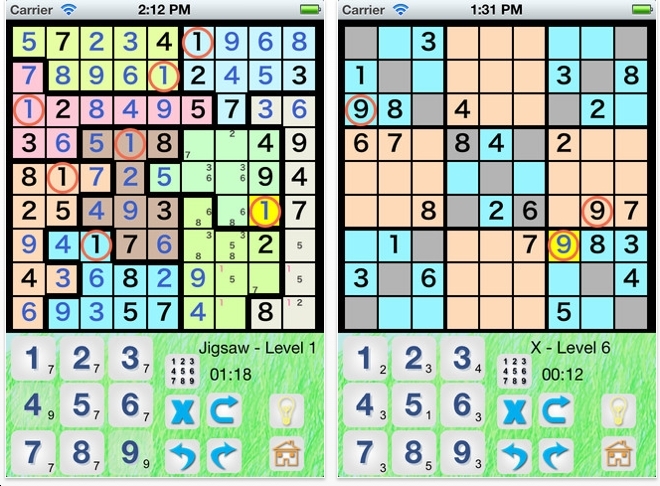 And of course the X versions where the diagonals have that same sudoku property. 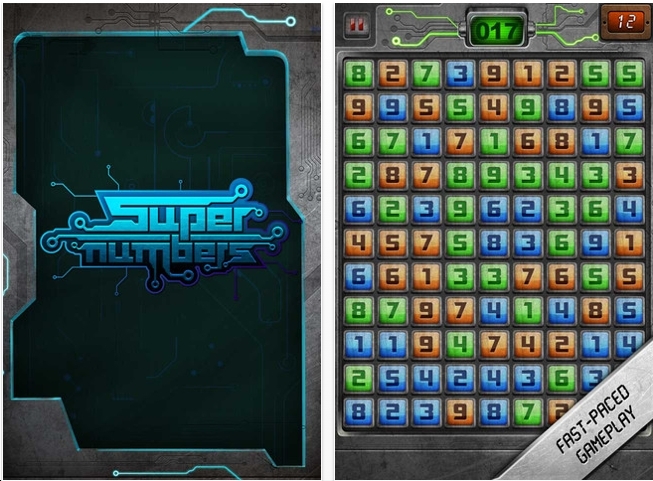 Here's what I particularly like about Sudoku Revolution: the chart at the bottom left indicates how many 7's & 9's etc are already on the board. If you tap on that chart - let's say 1 - all the 1's on the board get circled. Did I mention that Sukoku Revolution is free? 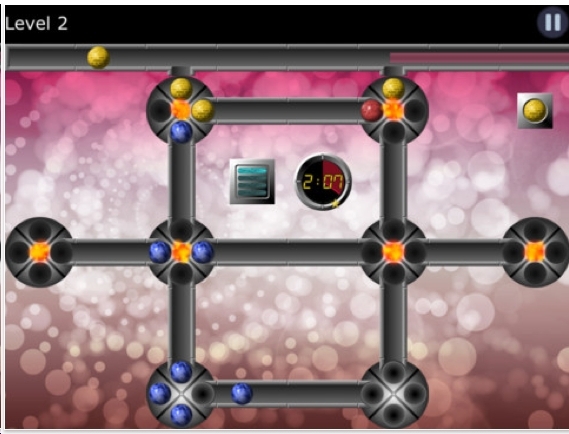 SudoFeud is point scoring game that you must play against an opponent. It's very difficult to describe. I recommend that you watch this video. In short, SudoFeud works a bit like Scrabble. Especially with double & triple scoring points. This is a very sophisticated. I have not play tested this. Sorry, I'm just too busy. Also, I need to play against a 'friend'. Which I have none of! 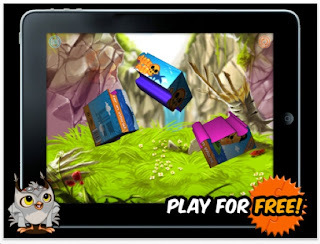 That's what happens when you spend your whole existence play testing puzzle apps for a blog that nobody reads. 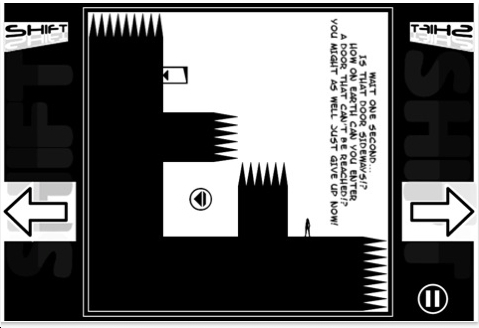 So: download this, send me an email and we can schedule a time to play-test this. 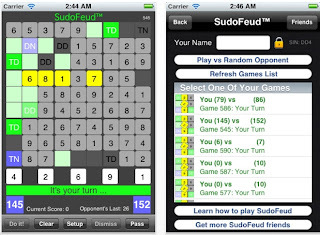 Roel Griffioen is the author of SudoFeud. 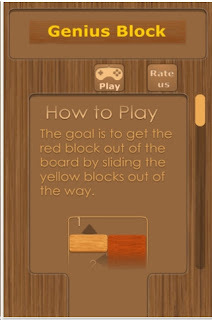 He also made a great puzzle app called Jump! about 2 years ago. Check out this image. 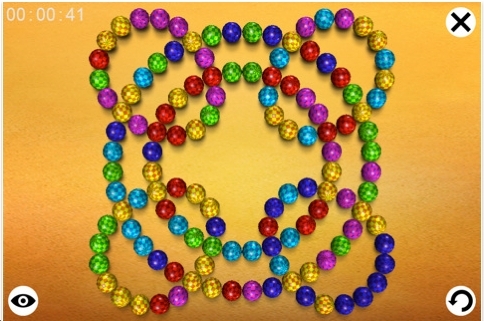 Two weeks I wrote about the mechanical version of this bead sliding puzzle. There is another mechanical version shaped with these 2 loops. 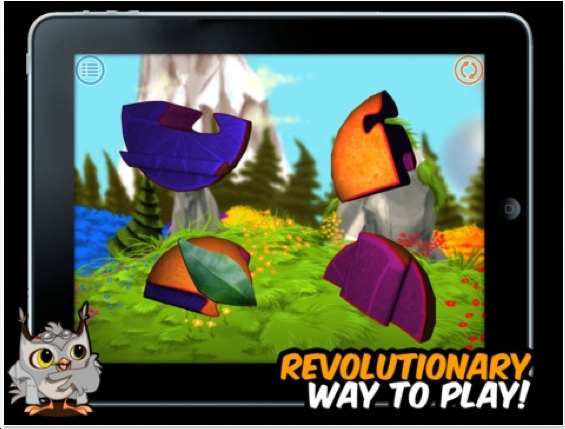 Look up: Moeraki Games on the app store. There are three different versions. One is the Lite version. Another is $.99. The best of course is the full version at $2.99. Check out how intricate those puzzles are. As my mechanical puzzle collection grows. 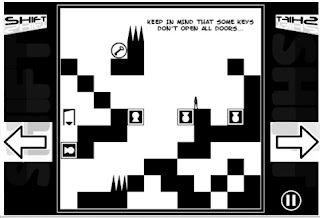 I often wonder: do I need every version of a puzzle concept. And which is better: to own the mechanical version or the virtual version. In the case of Casland Games' Moeraki puzzles: I want them all! One more thing: when you buy the mechanical version, it will come with a DVD that will install the game on your computer. 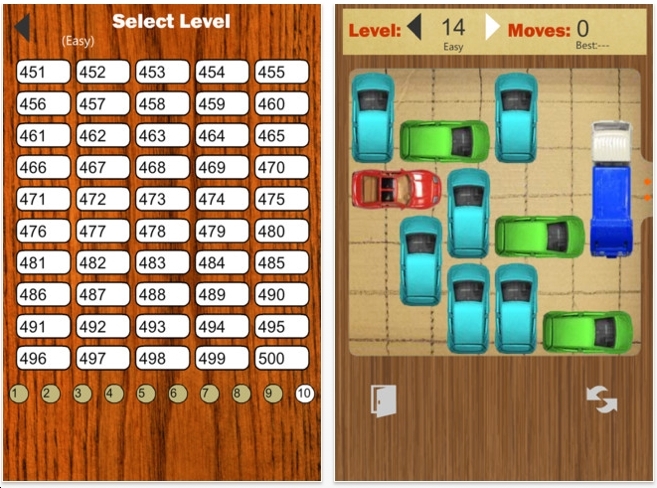 Puzzle App fans: this blog is going to get its 200,000th hit today. If you're the one, take a screen shot, send it to me and win a prize. Thanks for making this blog a success. 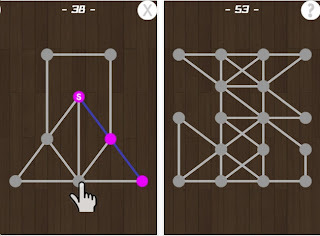 Double Maze is a series of 40 maze puzzles. 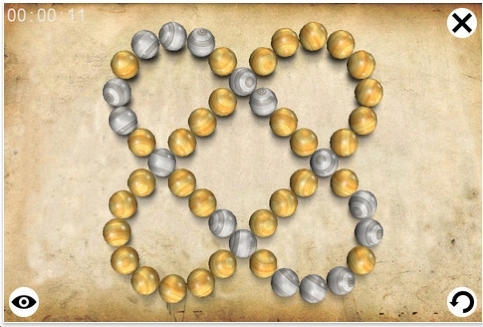 As you can see, the object is to get both orange balls to the white target at the same time. Notice the yellow lines? That enables you to move one ball while the other ball is held in place. Double Maze is not terribly hard. I've solved all of the levels. #40 was very difficult. 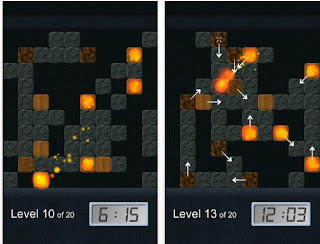 You have the option to create your own levels and share them. I have not explored this too much. But I have noticed that some people created levels that were humorously too easy. 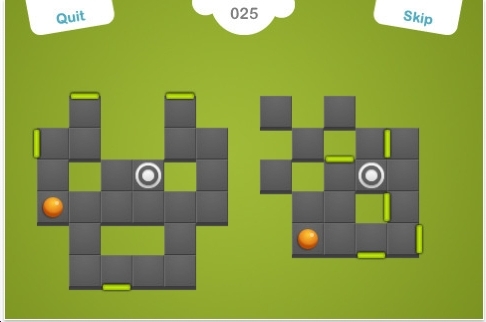 Gary at Bouncing Ball Games tells me that the ads will be removed next month.